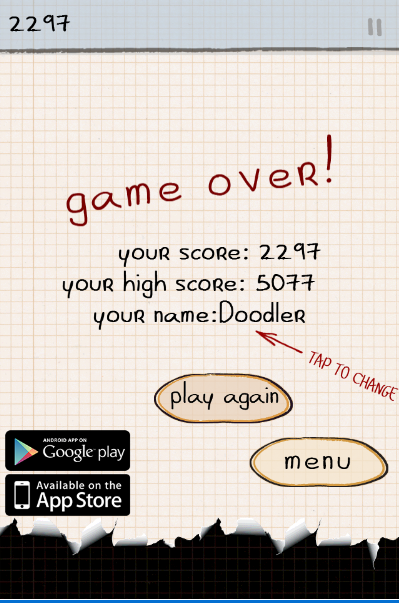 One of the most addictive mobile games of all time we want to recommend to players is Doodle jump game. Participating the game, you will have a journey through a sheet of graph paper and your player’s mission is to help alien jump from platform to platform. 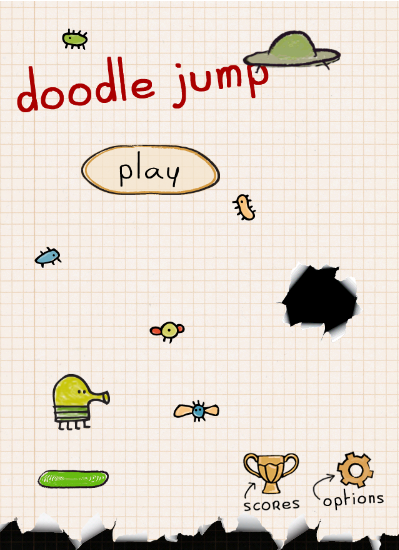 One of the most addictive mobile games of all time we want to recommend to players is Doodle jump game. Participating the game, you will have a journey through a sheet of graph paper and your player’s mission is to help alien jump from platform to platform. Pick up awesome power-ups such as jetpacks, rockets, trampolines, propeller hats,… to live longer. Sound easy but this is a real challenge for players to get the high score. To have good achievements in this game, players need to have reaction speed and hopping skill. This is insanely addictive game and worth giving it a try. You won’t be disappointed for sure to enjoy the game. Also, this game is highly recommended as one of the nice free games for kids. Have fun! Simple but eye-catching interface and design. The game gives more than 100 challenges for players to complete. Many power-ups to support your jumps and also obstacles too. The game comes with global leaderboards. So let’s invite your friend to join and beat your friends’ score! 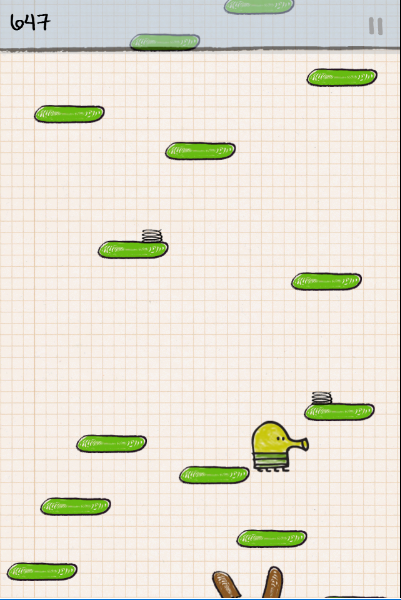 Doodle jump game is developed for play and download for free and compatible with all devices such as: on iPads, iPhones, Windows Phones and Android devices and all desktop browsers. Play game online free, games for kids, free game for boy, kid games for girl, arcade game, play and doodle jump game, classic 123 arcade games free on 123onlinegames.com.